Density is an important measure for quality control purposes and has many applications in polymer compounding, polymer transformation, cost analysis. The instrument permits to measure the density of soft or rigid compact materials, foam (non-absorbent), pellets or liquids. 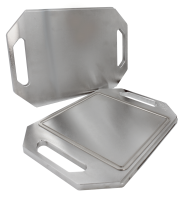 Specific sample holders are available for the different kind of products. 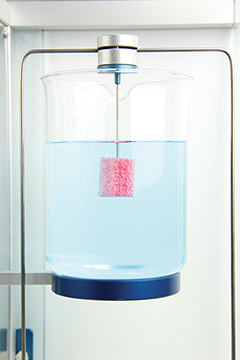 The instrument automatically records the weight of the sample, moves up the beaker containing the reference liquid to measure the volume and the density. Finally moves down the becker to the start position for the next test. 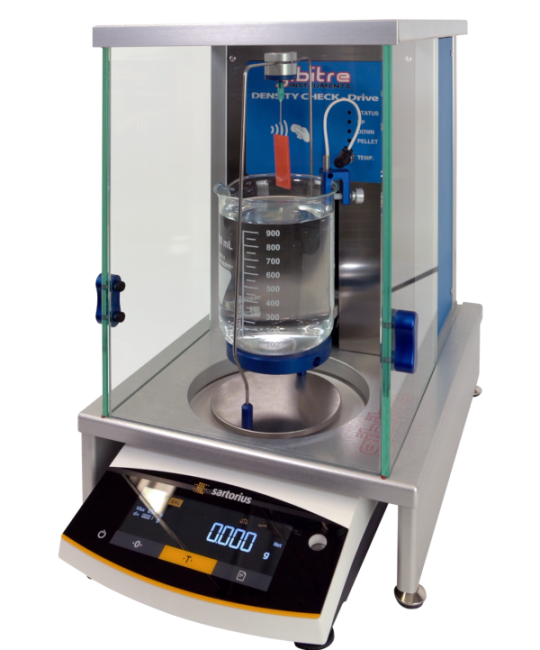 - motor controlled lifting system, which moves up and down a beaker during the automatic execution of the test. The software enables the complete automatic performance of the test, the comparison of the results with the tolerance limits set for the product and the storage of the results in standard Gibitre database with SQL format. The software permits to store Mass and Volume results and to compare the results with the ones obtained using the same samples after aging test in order to calculate Mass and Volume Percentage variation (DM%, DV%)according to ISO 1817 or ASTM D 471 standards. 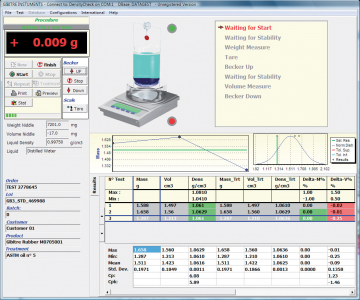 The reference liquid for volume calculation can be selected (default liquids are distilled water or ethyl alcohol). The density of the reference liquid is corrected according to the temperature of the lab entered in the program to ensure accurate volume calculation. Statistics: X-chart, Gaussian Curve, Max, Min, Mean, Std. Dev, Cp and Cpk for the ongoing test or for a selection of stored results are automatically calculated. The test report for the test performed or for a selection of stored results includes test identification, tolerance limits, statistic, company logo, digital signature of the user and a legend with the description of the results calculated. 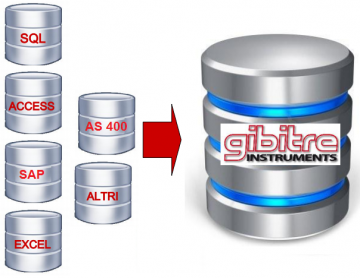 The software is connected to the Gibitre Standard SQL database. The instrument can be set for measuring the density of Rubber, rigid materials, foam (non absorbent), pellets, liquids. 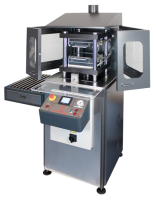 After the application of the sample, the test cycle, including the displacement of the backer with the reference liquid, is fully automatic. The kind of reference liquid and the density according to the temperature of the lab can be selected. Italian, English, French, Spanish, German, Portuguese, Russian, Chinese, Japanese, Turkish, Polish, Czech.